A special talent with size, length, athleticism, instincts, and skill, Foster is as good as there is in the 2021 class nationally. In the history of all the kids we’ve seen to date, Foster is the best we’ve had develop in front of us to date at this stage and that includes names like Harrison Barnes, Jabari Parker, Jayson Tatum, etc. Whether Foster reaches those type of expectations has yet to be seen but he’s a special talent potentially that doesn’t come along very often. A smooth highly skilled wing talent with a huge upside, Baldwin can make the game look easy and completely take over in the process by scoring at multiple levels in bunches. He has size, plus length, instincts, feel, etc. and he pairs that with advanced skill and excellent footwork. A high major impact talent, Baldwin has special potential and you can expect the biggest college programs in the country to come calling moving forward. As much as Baldwin may be #2 on this list Johnson could easily be #2 as well as they’re basically interchangeable as 2A and 2B so to speak. It’s irrelevant because Johnson like Baldwin has special potential to reach the highest level long term. 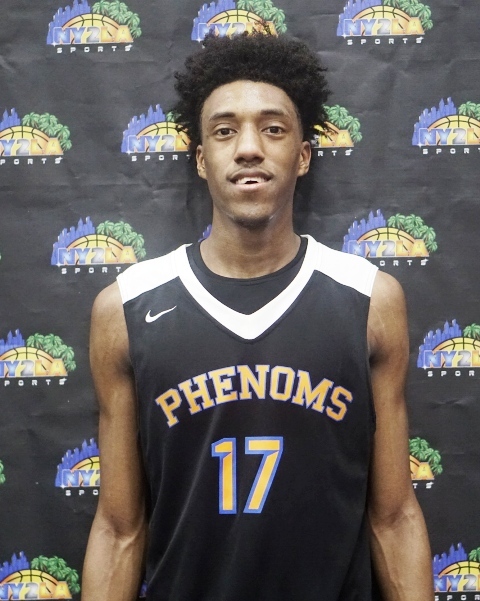 Fresh off a scintillating spring and summer campaign Johnson was invited to the prestigious USA Basketball camp this fall while also taking unofficial visits to Duke, Kentucky, etc. Equipped with size, length, athleticism, skill, and a huge ceiling, Johnson is an elite national talent who’s just scratching the surface of his potential. Long term Johnson’s upside is scary with continued hard work and development physically and skill wise. Committed to Kentucky Herro bounced back from a slow spring to deliver a high caliber month of July and he’s built on that with high caliber performances in August and this fall at prestigious camps. A sharpshooting perimeter wing with excellent range and video game scoring ability when he has it going, Herro at full health is as good a scoring talent that exists in the state. He has size, length, athleticism, etc. and he pairs that with a lethal stroke. Consistent and skilled, Hauser generally delivers game in and game out. A three time state champion whose team is the favorite to grab another, Hauser can finish at each level and he does so in efficient fashion while adding rebounding and passing to the mix. Committed to Marquette, Hauser is the front runner politically for Mr. Basketball in the state of Wisconsin this season. Another of the young standout 2021 prospects in the state, Joplin helped guide his spring and summer travel team to a national championship and he is expected to play a huge role for Central this season. Equipped with size, advanced skill, instincts, athleticism, and versatility, Joplin is just getting started right now. He’s still growing, he’s going to mature physically, and he’s going to develop skill wise all things that bode well for his long term prospects and will be a nightmare for opposing teams. When active and engaged Joplin has special potential. A tough sharpshooting talent who continues to get better and better with each passing year, Diener is an electric scoring talent who can put a team on his back on any stage. Anyone questioning his ability or placement on this list I can give you 46 reasons against Milwaukee Washington in the state tournament to counter that question. 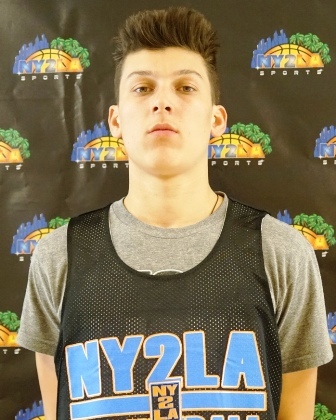 Diener is strong, he has solid vertical athleticism, his perimeter stroke is exceptional, his range is exceptional, and he can score off the bounce and at multiple levels. His best basketball may very well lie ahead and physically he’s a very tough cover as he brings size, power, skill, and advanced feel that few possess at his age. He’s going to have a big year and he’s trending upward. A long wiry active defensive savant when engaged, Sibley can control the glass, block shots, and he runs the floor well at his best. He’s just starting to put in work on his physical tools and as his offensive game continues to develop so will his overall impact. He’s still raw and unpolished so there’s a high ceiling with untapped potential there for the talented sophomore. Make no mistake Sibley’s best basketball lies ahead within 18-24 months coaches who’ve slept on him could be very sorry. Ignore the natural flash and flair he plays with, much like Diener McCabe is tough and he brings it game in and game out. Equipped with advanced skill and confidence McCabe has a no fear mentality and he can absolutely take over the game with his playmaking, scoring, and floor leadership. There’s some high caliber leadership he brings off the court as well. Committed to West Virginia the bottom line with McCabe is he’s a winner who makes his team better whenever he’s on the court. Long has been on the right path the past few months and physically he’s in shape and playing at a high level. When active, engaged, and focused Long can fill the box score and take over the game offensively in transition, half court sets, etc. He’s athletic, he has advanced skill, and he has advanced feel. His perimeter stroke extends beyond the arc, he can score off the bounce, he can elevate and finish in transition, and he has some highlight type ability when he’s got it going. Deontay controls his future and he will get whatever he puts in both short term and long term. Should he continue on the path he’s currently on the end of Long’s story could be very bright. He opened the season with an exceptional performance despite a tough loss. He looks primed for a big year on the court this season. A high character talent with size, length, and instincts, Days holds multiple mid and high major offers and he still has time to continue to develop and improve. 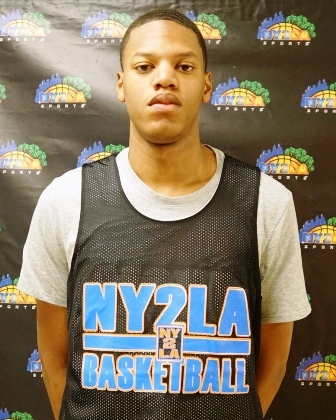 Off the court he’s an excellent prospect, on the court he sees the floor well, he’s an excellent passing big, he is a solid rebounding talent, and his skill set has continued to develop. He’s better facing the rim at this point and his range has improved. Still far from a finished product, the next 12 months for Nobal are key to continuing his ascent as a prospect in terms of development both physically and skill wise. One of the nicest, most respectful, and polite young men you’ll ever meet, Days is a high major prospect in life and that’s more important than anything basketball related. Remember this name right here because over the next 12-24 months he could become one of the biggest stories in the state. He has plus length, size, excellent bounce, and some skill and the young fella is just getting started. The physical tools are there and the skill size is coming around as he can finish at multiple levels, he can use both hands around the basket, and he can soar in transition. Still very raw, Hannah has some crazy upside and potential and his ceiling with hard work and development matches that of some of the best on this board long term if he stays focused and puts in the work. This is the talented young man that we stamped as a young middle school prospect and all is did is fulfill those expectations with development and high level performances. 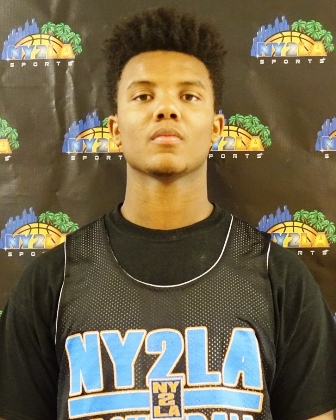 Committed to Iowa State, Tyrese is a long wiry athletic and skilled guard whose best basketball lies ahead. He can finish at multiple levels, he handles it, he has a smooth floor game, and he’s just starting to get things figured out big picture wise. Nothing he’s done to date has surprised me and nothing he may do in the future will surprise me. Tyrese controls his own destiny, he has the size and skill to be as good as he wants to be if he puts in the work. Keep sleeping on Taylor and he’ll continue to make you look foolish long term. This young man has major game and like many others on this list he’s just getting started. Taylor handles it, he can score off the bounce, he has range beyond the arc, he’s athletic, he can defend, he fills the box score, he…well you get the point. 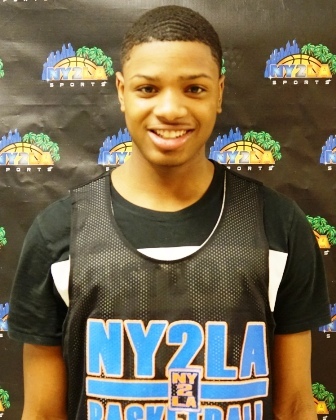 In a solid 2020 class Taylor is slept on the most but a solid spring and summer followed by an Class of 2020 Co-MVP performance at the annual NY2LA Sports Futures Camp proved once again how talented Taylor is. Another potential big story in the state the next 12-24 months Taylor is a possible high major guard in the state who’s just starting to take off. 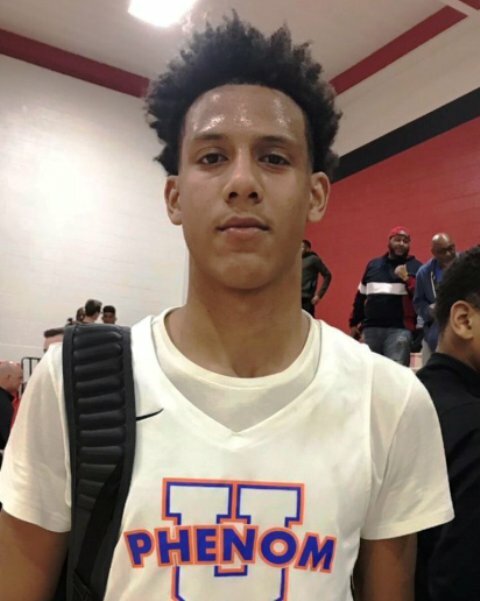 A sharpshooting guard who can slide between either guard spot, Lindsey already holds Division 1 offers and he’s continuing to collect attention from other schools early in the process. Linsdey handles the ball, he sees the floor, etc. but he’s at his best knocking down jumpers from anywhere on the floor. A bit of a cross between the likes of Paul Jesperson (Virginia/Northern Iowa), Riley LaChance (Vanderbilt), Brady Ellingson (Iowa), etc. Lindsey has size to go with decent athleticism and advanced feel making for an intriguing prospect to pay close attention to. A plus length versatile wing with athleticism, Jones dabbles between the 1, 2, and 3 position but he’s probably at his best on the wing long term because of his athleticism, his open court transition finishing ability, and the fact that he’s still developing his ball handling and his perimeter stroke. Jones’s best basketball lies ahead here and he’s still raw so that’s a big plus because he still has a high ceiling to reach long term. Already holding a number of Division 1 offers, Jones’s size combined with his athleticism and long term potential making him one of the more exciting prospects on this list to keep track of at the collegiate level. Not going to sleep on Alex at all as every one of these young men have grown and developed late as prospects into high impact type talents. Whether Alex matches the exploits of Giannis or Kostas isn’t the question, it’s just a matter of when will he begin his ascent in the state. With history and pedigree of his two older brothers before him on his side, this may be one of the most interesting and intriguing prospects on this board long term. A two sport standouts (football) with athleticism, length, instincts, etc. Davis is an excellent lock down defensive prospect who rebounds well, runs the floor well, finishes in transition, etc. Still growing and maturing physically, Davis’s skill set is far from a finished product and as he continues to develop his handles and his perimeter stroke his status as a prospect will continued to take off. As a pure athlete Davis is top 10 on this board and as good a basketball prospect as he is, he might very well be better as a football player. Either way Davis is another young talented prospect to watch closely over the next 24 months. A solid interior big with size, length, skill, instincts, and a nice ceiling. Young bigs can be difficult to project at times but in flashes McGrath has shown solid range, nice defensive instincts, solid rebounding skills, etc. Standing 6-10 with a 7 foot plus wingspan, McGrath is just getting started so over the next 36-48 months his status as a prospect will be solely geared to his development physically and skill wise as he has high mid to possible high major potential long term. A multi-dimensional guard with the ability to fill the box score, lock up defensively, and create problems offensively, personally always thought Curtis’s highest ceiling would’ve been by embracing the lead guard position. Curtis blends between the 1, 2, and 3 but for the most part he seems more comfortable on the attack off the bounce, finishing in transition, etc. Committed to East Tennessee State, Carlos’s best basketball lies ahead. A max effort talented young man who can score in bunches, White goes hard game in and game out and he’s best years on the hardwood are in front of him. In terms of production game in and game out White could easily be 5-7 places higher on this board as he brings it and that’s a huge asset that more prospects need to have. He handles the ball well, he can finish off the bounce, his range extends beyond the arc, and he can score at the mid-range level. He’s one of those players that when he gets it going you stay and watch because he can flip the scoreboard and take over the game like few others can do in the state. A polished skilled and instinctive wing, Domask already holds Division 1 offers and he most recently passed the 1,000 point threshold for his career at Waupun. He has decent size, advanced skill, and some versatility in that he can play the 2, 3, or 4. Long terms Domask projects higher out the wing where he can face up and score from the perimeter and he has the ability to score off the bounce at times. Still developing athletically and quickness wise, Domask is a high character young man who brings solid leadership on and off the court. Probably the biggest sleeper on this board, Hale has a lot of physical tools that he blends with some decent skill to form a late blooming intriguing talent that will continue to open eyes if he stays focused. He has plus length, power, size (6-6 plus), athleticism, etc. and his max effort floor impact is impressive as he can fill the box score, defend, rebound, etc. As prospect Hale is just scratching the surface of his potential but over the next 18-24 months he is a very intriguing talent to keep close tabs on much like Christopher Knight was a few years ago. Love this young man’s toughness, leadership, and skill set for a young guard. He was a huge factor in helping his team to the national championship this past summer and no one can discount that. He handles the ball well, he has range that extends beyond the arc, and he has a natural leadership he possesses that comes from showing by example and not backing down. Part of a solid backcourt at Central that includes Gage and older brother Cole, Nau will be a solid role player for the first couple of years. Just remember that this list is about long term production and development and when it’s all said and done Nau has the potential to follow the likes of Brady Ellingson (Vanderbilt), Matthew Thomas (Iowa State), Zak Showalter (Wisconsin), etc. if he continues to grow and develop. This spot could’ve been filled by a number of talented prospects (i.e. James Butler, Diovonte Caldwell, Carlos Ramsey, Jaylon Gentry, David Skogman, Keshawn Justice, Nolan Rieder, Desmond Polk, Antuan Nesbitt, Cameron Palesse, Jakobe Thompson, etc.) 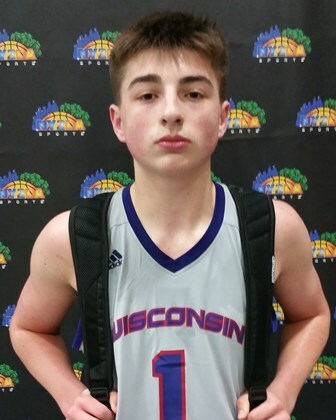 but the reality is Thompson is blue collar tough physical prospect who was a key factor in a tremendous run for his 15U summer team in capturing 3 prestigious championships this past July). Thompson is a powerful 6-7 forward who holds a Division 1 offer and he brings max effort, physical toughness, and an ability to manage the paint to the court. As indicated this spot and a few others could easily be interchangeable but considering Thompson still has a couple years to develop he’s a very interesting prospect to pay close attention to moving forward.